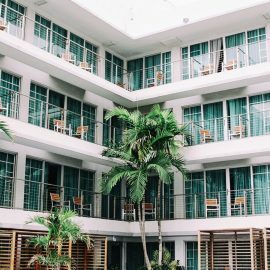 Most body corporates understand the value of maintaining their strata property and keeping everything in working order, but what about improvements that will actually increase a property’s value and make it more appealing to prospective tenants and owners alike? Strata building renovations and refreshers go a long way to ensuring your property retains its contemporary feel and remains a property where people want to invest and reside. A coat of exterior paint and a new interior colour for common areas can reinvigorate a strata property and take it from tired and dated to fresh and bright, and the transformation can take place in as little as a few weeks. Aging and faded carets, or carpets that can’t be cleaned properly quickly make any strata property seem unloved and poorly maintained. Factor in the replacement of carpets when required as part of the capital works budget. Mediterranean tiles may have been all the rage in 1998, but 20 years later they’ve probably lost a little of their appeal. To embrace a more modern look, consider having old and dated exterior tiles painted over or replaced. Meanwhile, decking should be protected with an oil or stain once a year. Your body corporate may also wish to consider the addition of new decking in places like the pool area to refresh the facilities and replace old tiles or concrete. Fixtures like light fittings and door handles quickly date any property. If your fixtures are showing their age, consider upgrading to newer items that might even incorporate modern smart technology. Smart lighting can make a property more user-friendly and reduce energy use. Pools are a major drawcard for many strata properties, but they also benefit from a refresher every now and then. Consider rejuvenating the pool area with new coping, a fresh coat of pool paint or pool surface, smart lighting, fresh landscaping and decking, and new pool area furniture. Lifts are a necessity in any high-rise strata property, but they’re often an improvement that is low on the body corporate’s improvement list. Take a good, hard look at your lift and see if it could benefit from an interior makeover with new flooring and wall coatings, or whether an upgrade is in order. Good security is a feature many unit dwellers actively seek, so if your security system and door locks are a little on the old side, this could be a prime area to upgrade. New technology like smart locks might be an option to consider, along with improved lighting and security cameras in common areas and car parks to ensure your residents feel safe and secure. Balconies are a feature of many strata buildings, but they also tend to reveal a building’s true age. While modernising them can be expensive, doing so can give your whole building a facelift. Upgrading your balconies could include new balustrading, a fresh coat of paint and even new facades to give them a whole new lease on life. Whether it’s solar power, a permaculture garden or smart technology like lighting and smart irrigation, eco-friendly credentials can make your building more appealing for the environmentally focused resident and also more efficient in terms of running costs. A garden overhaul offers the opportunity to introduce new colour, contemporary plants and a welcoming feel to your strata building along with spaces that welcome occupants to relax and enjoy their surrounds. Landscaping is also one of the more affordable facelift options, allowing the body corporate to achieve maximum effect for a minimum investment. United Strata Solutions is a NSW-based company with over 20 years real estate experience and specialist expertise in strata management. 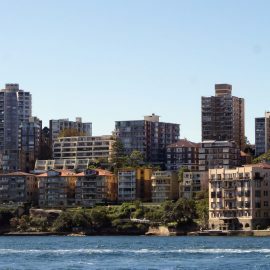 Our services extend from property appraisals, sales and marketing through to comprehensive strata and centre management throughout New South Wales. We also specialise in the finances of strata buildings, including creating capital works plans and budgets, and levying individual owners.